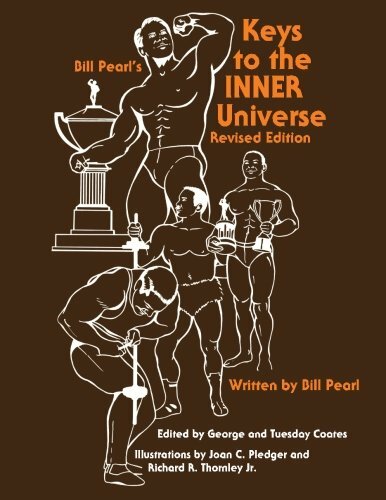 Когда товар "Keys to the INNER Universe — Bill Pearl" появится на складе, Вам придет уведомление. Keys to the INNER Universe covers every major weight training topic from nutrition to mapping out various training programs. There are over 1200 fully illustrated exercises with proper names and a “degree of difficulty” given for each exercise shown in this encyclopedia. You can choose from hundreds of different exercises for each muscle group and select those exercises that are best suited for your present physical needs. Pearl reveals ALL THE SECRETS used that enabled him to win the Mr. Universe title four times and reign as “King of the Bodybuilders” for nineteen years. This book is designed to help everyone, the young, the old, the weak, the strong, the coach, the gym instructor, a major league football team, or a YMCA weight room. Nobody, man or woman, has been ignored.